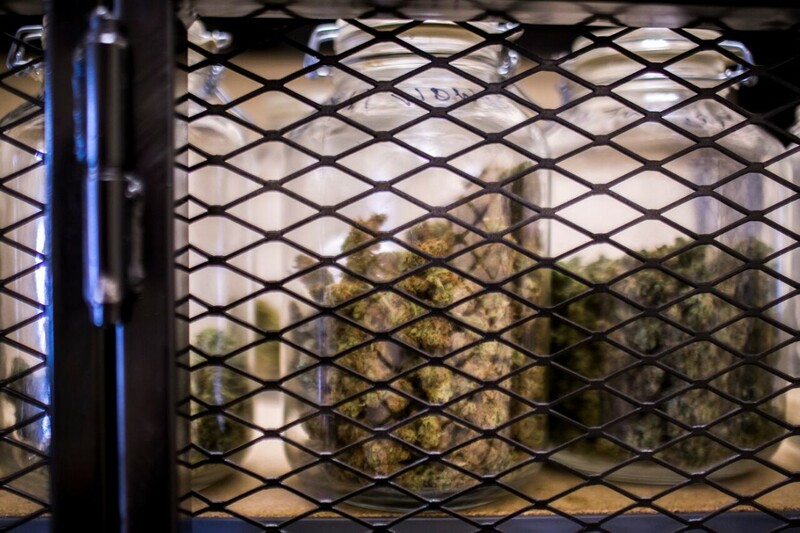 The future of another legislative attempt to allow medicinal cannabis manufacturers and dispensaries in the state is uncertain, with some legislators skeptical about whether or not the next steps to pass a bill will happen. A bill, HF 2384, passed the House Commerce Committee and was sent to the House Ways and Means Committee Feb. 22. But Ways and Means Committee chairman Rep. Thomas Sands, R-Wapello, said he is unsure whether or not the bill will get through the committee this session. A subcommittee for the Ways and Means Committee has not been formed to study the bill further and determine its financial impact. “It would be a huge mistake to not let this go forward,” said Rep. Bob Kressig, D-Cedar Falls, a proponent of the bill. Kressig said he supports the bill because of its expansion of approved conditions for cannabidoil, or CBD, as well as the availability of it in Iowa, and believes enough votes exist to pass it. “There are a lot of people in the state of Iowa that have gone through the traditional method of going to the doctor, getting prescriptions and not seeing any benefits,” he said. Initially the bill included 12 health conditions that would qualify for the use of cannibidoil, also known as CBD, and having in Iowa four manufacturers and 12 dispensaries, Kressig, a member of the House Commerce Committee, said. Changes were made and the bill came out of the Commerce Committee with three approved conditions: intractable epilepsy, multiple sclerosis and, if a prognosis of less than 12 months to live was given, cancer. The number of Iowa manufacturers and dispensaries allowed in the bill decreased to two locations, with both manufacturing and dispensing occurring in the same facilities. The bill says these locations would be determined by Dec. 1. Gov. Terry Branstad has said he is willing to work with the Legislature on resolving issues with the state’s current medicinal cannabis law but will reserve his judgment on HF2384 until he sees its final form. “We want to make sure that we protect the state against unattended consequences and access to marijuana to people that would being use it for inappropriate or illicit purposes,” he said. Iowa’s Medical Cannabidiol Act is the current law, which allows for the use of CBD to treat people who have intractable epilepsy. Enacted in July 2014, patients approved for CBD use have had to leave the state in order to purchase the medicine. With this year’s HF2384, patients and caregivers would not have to break federal laws that prohibit the transportation of drugs over state lines. A clinical trial by GW Pharmaceuticals that the University of Iowa participated in showed that the firm’s CBD based medication, Epidiolex, was successful in reducing the number of convulsive seizures in epileptic patients. While some say this shows the medicinal value of marijuana, Sen. Joe Bolkcom, D-Iowa City, said he does not think opponents will be swayed by the results. “The people that are opposed feel like the federal government and drug companies should fix the problem,” Bolkcom said. Bolkcom was the floor manager of a 2015 bill, SF 484, that would have expanded medicinal cannabis use and availability. That bill passed the Senate in April 2015 and was referred to the House Public Safety Committee but has gone nowhere since. “If the House can’t pass the bill out of the committee, they’re likely not to pass the bill,” Bolkcom said. Although Sen. Michael Breitbach, R-Strawberry Point, opposed Bolkcom’s bill, he said he supports the new bill and believes it would get bipartisan support if it reaches the Senate. Breitbach said his biggest concern with medicinal cannabis is its classification as a Schedule 1 drug, a designation that indicates no medicinal value but high potential for abuse. That is one of the reasons he opposed Bolkcom’s bill, Breitbach wrote. “I wish the federal government would reclassify cannabis so that more centers could be testing the benefits or harms that could come from cannabis, that to me is the biggest hurdle we are facing at the current time,” he wrote. Steve Schultz, vice president of international relations for GW Pharmaceuticals, said results from the clinical trial on Epidiolex felt great for him and his team. “It is very positive data in a patient population that has no approved medications,” he said. Schultz said some patients don’t tolerate CBD as well and experience gastrointestinal side effects because it is used in an oil formulation with weight-based dosing, meaning that the larger you are the more of the drug you have to take. Schultz said GW Pharmaceuticals will be able to improve the formulation with more research. The test results emerged from one of four parts of the trial, known as the Expanded Access Program. In the only part that has been completed, researchers monitored the number of seizures in patients who received Epidiolex for dravet syndrome, a type of epilepsy, and compared results with patients who received a placebo. They saw a 39 percent reduction in convulsive seizures for patients receiving the medication and 13 percent reduction for those in the placebo group, Schultz said. 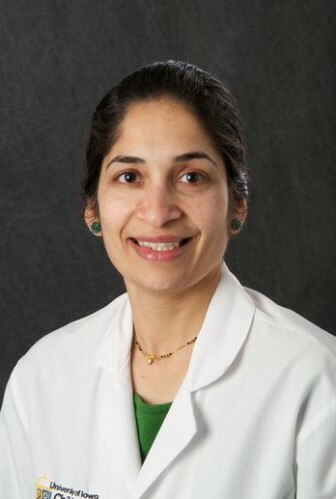 Charuta Joshi, the principal University of Iowa researcher in the study and clinical professor of pediatrics, wrote in an email that five children participated in this part of the trial, with three completing it. “The three kids I had in the trial seemed to do fine,” she wrote. Joshi said she didn’t know what each patient received because they were in a double-blind study. However, “all parents reported that the kids were better in at least some respect,” she said. Sands, the Ways and Means Committee chairman, would like to see the results from more of the studies that are underway in the GW Pharmaceutical trial. “The real question is should the Legislature start approving drugs to be used or should we continue to use the system we have in place with the FDA?” he wrote. “Unlike legislators they are not basing their decisions on emotion or political interests. They are basing their decisions on scientific facts and results,” Sands wrote, referring to researchers in the trials. An FDA-approved drug would have consistent standards and safeguards that protect the public, he wrote. Maria La France, founder of Iowans 4 Medical Cannabis, initially put her son, Quincy Hostager, in the trial thinking about the benefit of not having to go to Colorado to purchase her 14-year-old son’s medicine. 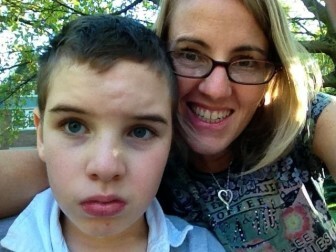 She took her son, who suffers from intractable epilepsy, out of the trial after one month, saying he experienced negative gastrointestinal side effects. She said he responded better to the natural cannabis oil she had been giving him before the trial. “I have discovered what has helped my son using trial and error,” La France said. She said CBD made a big difference in Quincy’s life. He has fewer seizures and is more alert. Maria La France, of Iowans 4 Medical Cannabis, and her son, Quincy, who has suffered from severe seizures since he was 2 years old. La France said she makes the trip to Colorado for Quincy’s medicine every few months, and that “occasionally I have had friends or family driving that way and they have made an illegal delivery for me to save me the drive.” She said Iowans 4 Medical Cannabis, the group is working to get bills like the one introduced this year, HF 2384, passed in order to grow medical cannabis in Iowa. Kressig said he would not speculate on the bill’s prospects this legislative session. “I’m going to remain hopeful because a lot of people are counting on this,” he said. This IowaWatch story was republished by The Courier (Waterloo, IA), Mason City Globe Gazette and Iowa City Press-Citizen under IowaWatch’s mission of sharing stories with media partners. The state of Iowa is failing to warn people to cut back on eating locally caught fish contaminated with mercury and other pollutants at levels the U.S. Environmental Protection Agency finds too risky, an IowaWatch study has found. More than 330,000 people a year buy licenses to fish Iowa’s waters, and the contaminated fish many catch, eat and provide to their families and friends could pose serious health consequences, especially for children, women of child-bearing age, pregnant women and other vulnerable populations. Southeast Asians and Hispanics dominate another high-risk group – people who make fish from the state’s rivers, streams and lakes a staple of their diet. But conservation officers say few people, especially minorities, know about the contaminated fish advisories state officials periodically issue. They are written only in English.